In the first Super Bowl to be played indoors, inside the Superdome in the Big Easy, New Orleans, the Dallas Cowboys took control from the start, as they eventually came out on top, 27-10. Their defense stifled the Broncos' offense - even holding quarterback, Craig Morton to only 39 yards through the air, while Denver's 'Orange Crush' defense could not stop the offensive powerhouse that was the Cowboys' offense. Rookie running sensation, Tony Dorsett, racked up 66 yards on 19 carries, as well as bagging the contest's opening touchdown, while Robert Newhouse added a further 55 yards off the back of 14 carries as well as tossing the game's final touchdown on a 29-yard pass to Golden Richards. 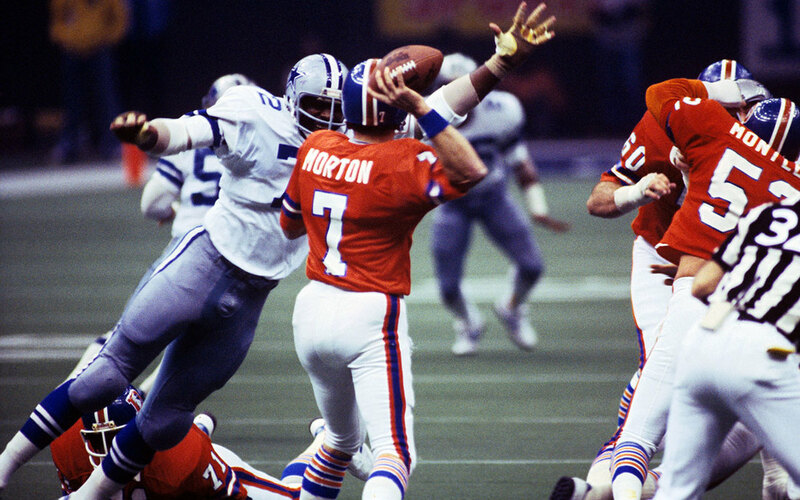 For the first time in Super Bowl history, two players shared the MVP award as Cowboys' defensive tackle, Randy White, and defensive end, Harvey Martin, both turned in memorable performances. Rookie running back, Tony Dorsett, on one of his dazzling runs. The Superdome was the first building to host the Super Bowl indoors. 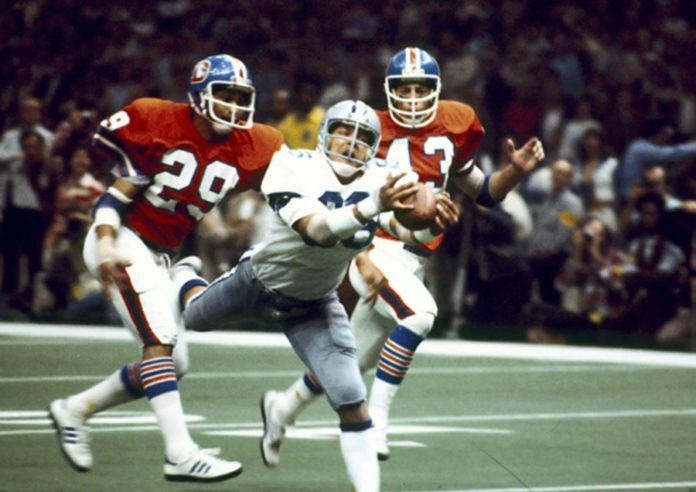 Super Bowl XII was the first Super Bowl to be played indoors. 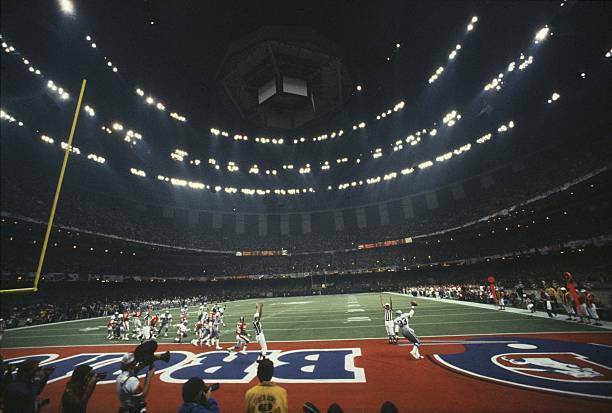 The Superdome should have hosted the ninth Super Bowl, but when the stadium was behind schedule, the contest was switched to Tulane Stadium. 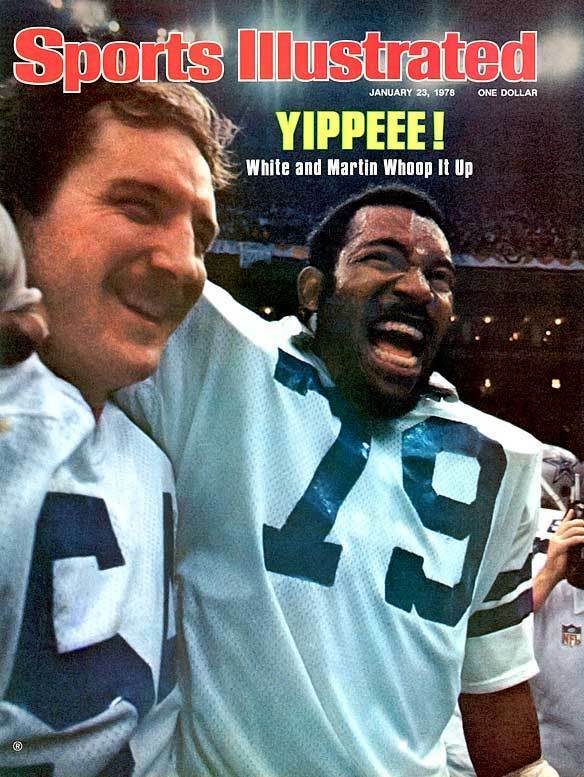 For the first time in Super Bowl history, two players took away the MVP award when Randy White and Harvey Martin shared the honor. 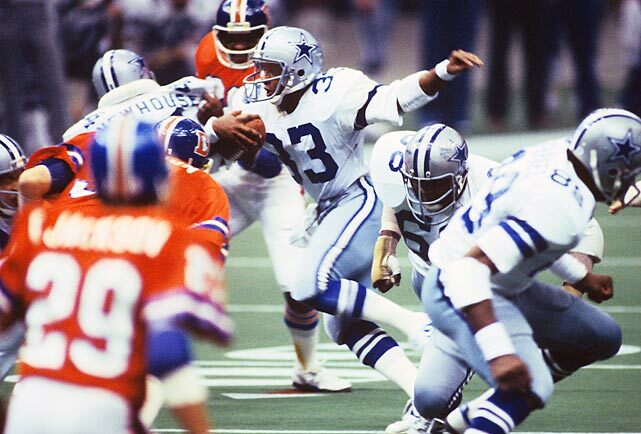 Super Bowl XII was the last contest to end a fourteen game regular season. The following year in September 1978, the NFL switched to the sixteen game season. 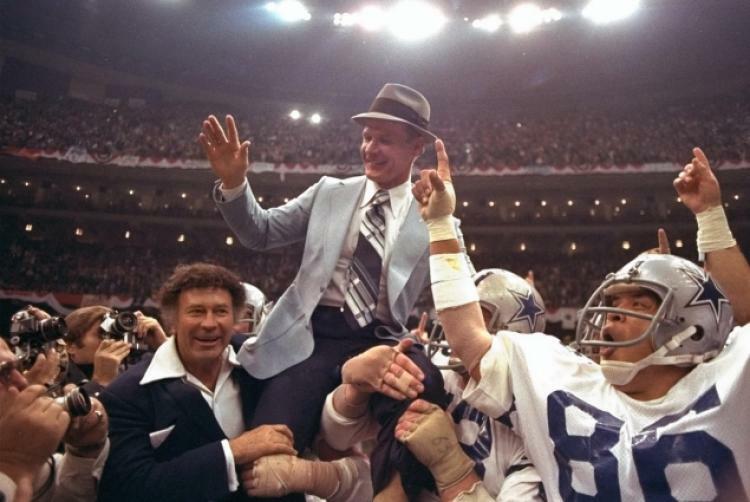 Cowboys' legendary head coach, Tom Landry, earned his second, and final, Super Bowl victory.